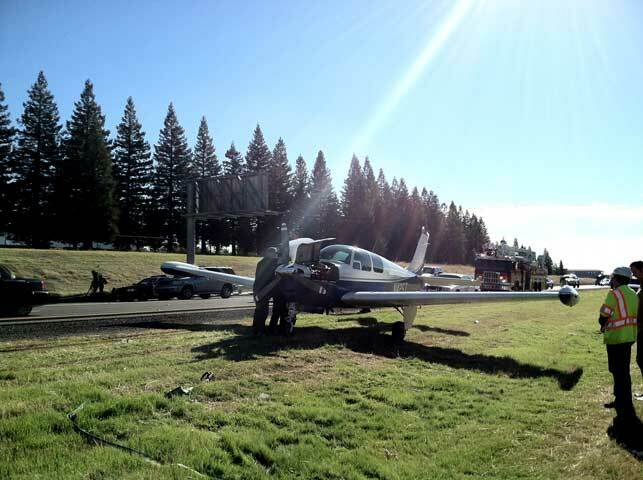 December 02, 2018: Hit MALSR light bars on runway. 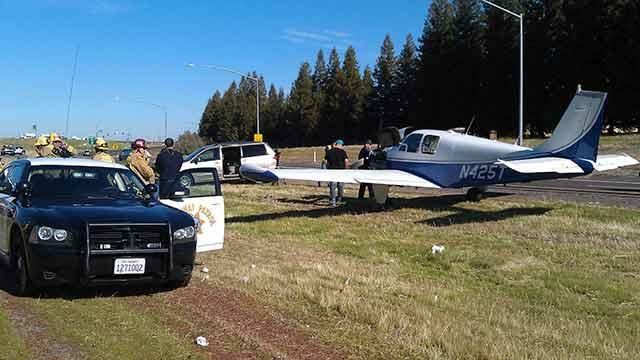 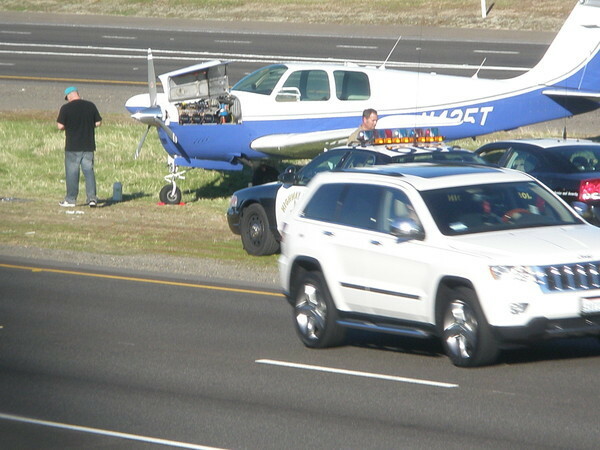 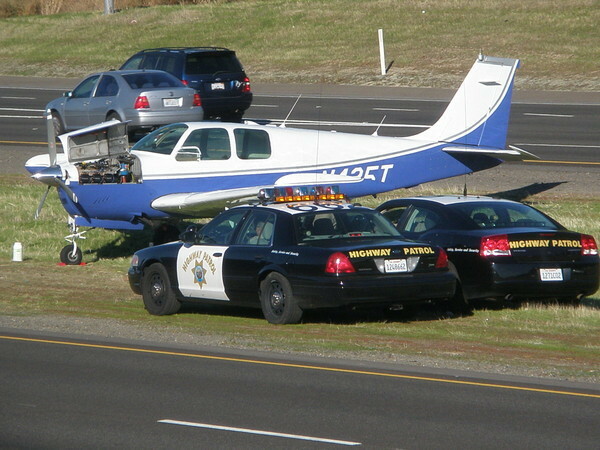 November 14, 2012: Aircraft force landed on a highway median. 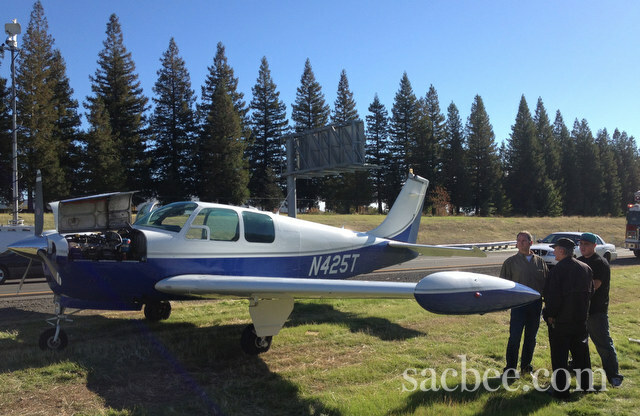 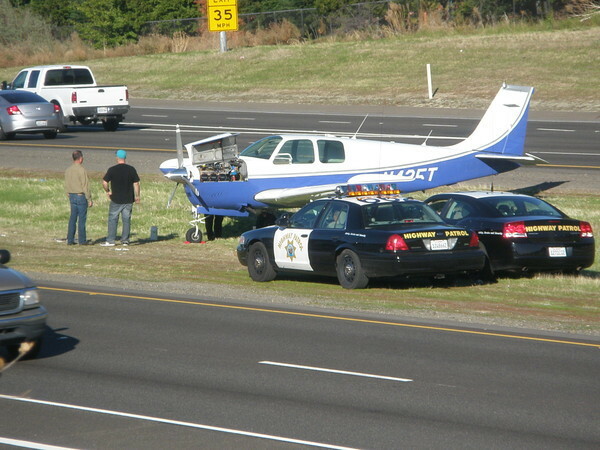 Beech 35-A33 (N425T) rests on the grassy median of Highway 65 near Blue Oaks after the pilot landed there on November 14, 2012.